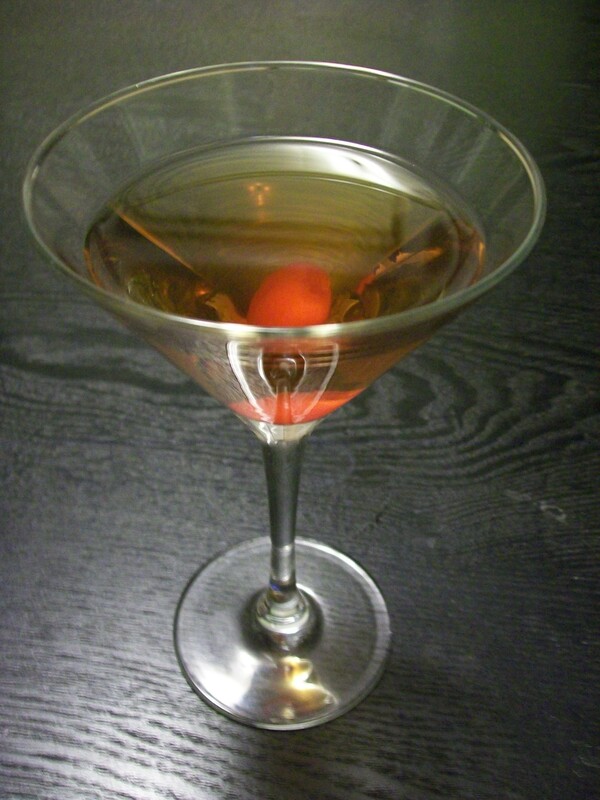 Another one of my favorite drinks is the Classic Manhattan. The Manhattan cocktail dates back as far as the 1870s. As with the classic Martini, the Manhattan has variations in the proportions and ingredients, and it can be a very personalized drink. Choice or bitters and preference of whiskey or bourbon can be huge factors in taste and enjoyment. What you’ll need: Whiskey (or bourbon), sweet vermouth, bitters, and maraschino cherries. Chill a 3 ounce martini glass in the refrigerator in advance or put some crushed ice in your glass with a little water and set it aside while you mix up your cocktail. In a shaker, pour 2 ounces whiskey, 1 ounce vermouth, and a dash of bitters over cracked ice. Then shake (or stir) briskly. Strain into your chilled glass. Garnish with maraschino cherries. How I like it: Not with bourbon! Though the Manhattan can be made with bourbon (and I have had it served this way), I don’t care for the taste. I prefer whiskey. Unlike with a gin martini, I haven’t yet settled on a favorite brand of Whiskey. In fact, though this is a standby for me when dining out, I only made it for the first time at home for the photo accompanying this post! I consider the dash of bitters somewhat optional. Bitters is a bittersweet alcoholic beverage flavored with various herbal essences. They do add a bit of flavor, but I can’t say it’s particularly noticeable. I’ve heard Angostura bitters are considered best, but other brands are available, including ones with atypical flavors like papaya. However, one thing I consider a must are the maraschino cherries. To me, a Manhattan just doesn’t seem complete without them. And three as a garnish are perfect! Occasionally, I’ll even add a dash of the juice for extra flavor. Check out a bartending guide like Mr. Boston or search the internet for other recipes and variations of this classic drink.